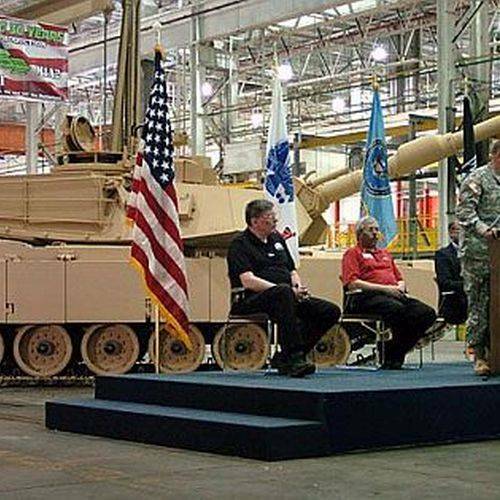 LIMA — The Joint Systems Manufacturing Center (JSMC) has been preparing for a major increase in jobs — several hundred estimated by Plant Manager Hank Kennedy — due to an expected allocation of close to $2 billion included in the National Defense Authorization Act (NDAA) earmarked for Stryker vehicle and Abrams Tank upgrades. “For the first time, we’re in a growth pattern, so that’s good,” Kennedy said Monday afternoon’s Task Force LIMA meeting. Kennedy said the JSMC human resources department has been recently involved in attending job fairs in major cities throughout the region including Indianapolis, Dayton and Cincinnati to begin locating the right job candidates. He said there have also been conversations with local recruiting entities, such as OhioMeansJobs, and some of the tech schools to begin the initial steps in attracting candidates. The final tally for the number of new jobs has yet to be officially announced. Allen Economic Development Group (AEDG) Director of Business Development Cynthia Leis has been working with county officials to ensure infrastructure can handle JSMC’s production expansion. Recent numbers calculated by the AEDG estimate that roughly 700 trucks from many different manufacturers use Buckeye Road each day. Leis said the defense allocation may help local officials push improvements to the road faster down the line. “It seems to be one of those projects put on the back burner year after year,” Leis said. Although few preliminary details are known about what the improvements may entail, Leis said ODOT has been in conversations with Allen County Engineer Brion Rhodes to determine the cost of the work. Senators Sherrod Brown and Rob Portman announced their support for the close to $2 billion dollar allocation to the JSMC. “I’ve seen firsthand the critical work performed at JSMC and will keep working to make sure JSMC and its workforce have the funding needed to continue expanding production,” Brown said in a press release. “This is a significant improvement when not long ago the workforce was only funded for one tank per month. This is important for our armored formations and for Lima and its irreplaceable workforce,” Portman said in a press release. The NDAA passed the House and the Senate and is expected to be signed by President Donald Trump. The bill sets appropriation levels for the $717 billion in defense spending allocated earlier this year in Congress’s omnibus spending bill. Budget lines for Abrams Tank upgrades and Stryker upgrades are set at $1.53 billion and $360 million, respectively. The NDAA also authorizes support for a military parade to be held in Washington, D.C. This entry was tagged jsmc. Bookmark the permalink.